Q&A with Monique Myers: How will climate change affect California’s central coast? Monique Myers is a California Sea Grant extension specialist based at the University of California, Santa Barbara. 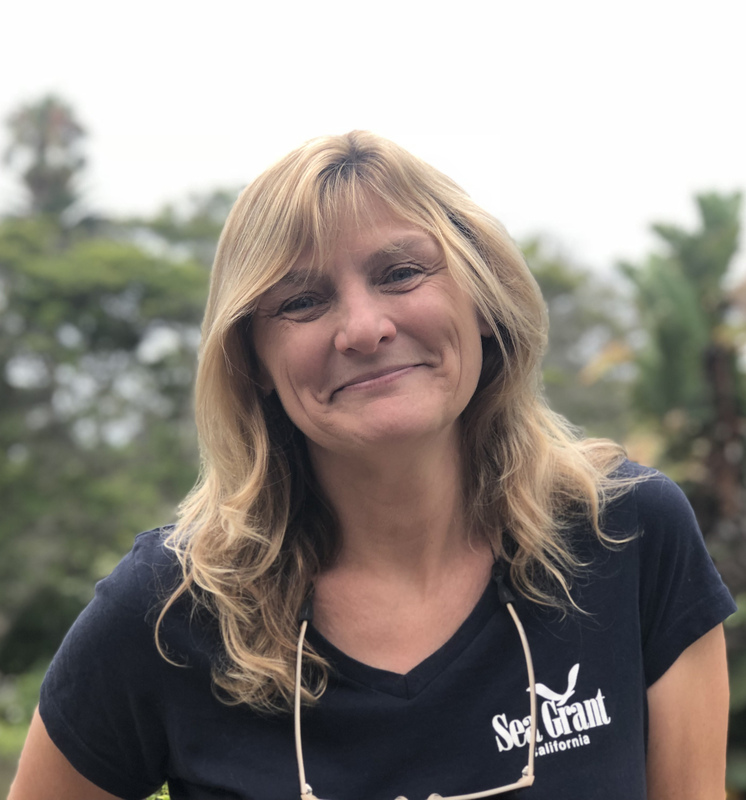 She is an expert on resilient coastal communities and healthy coastal ecosystems, and an author on the newly released Fourth California Climate Change Assessment. What’s in the new climate assessment and why is it useful? You contributed to the section of the report focused on California’s central coast region, which extends from Santa Barbara up to Santa Cruz. What changes are climate scientists projecting for that region? As you might expect, we’ll see an increase in temperatures—both minimum and maximum temperatures will continue to increase, especially inland. The projected average temperature in the central coast is projected to increase by as much as 7 to 8 degrees Fahrenheit by the end of the century, compared to the 1961-1990 average. Even if we substantially cut our greenhouse gas emissions in the near future, we could still see average temperature increases of 4 to 5 degrees Fahrenheit. We’ll also see changes in precipitation. Even though the projections only show a slight increase in overall precipitation, we expect to see longer periods of drought, and more intense and heavier rainfall when it does come. There’s also a lot of work going on to understand how coastal fog will change. This is one area that we need to understand better, because fog is incredibly important to coastal ecosystems. Fog can provide up to a third of the water in coastal ecosystems, and it also has a major cooling effect, keeping the coast so much cooler than inland California. What impacts are these climate-related changes expected to have on central coast communities? The report highlights quite a few impacts of concern for communities in the central coast region. Most people are probably already aware of projections that wildfires, floods, and landslides could become more common or more extreme in the future. The new assessment also highlights a variety of impacts from agriculture to public health, that we need to start planning for. We expect water supply shortages to become more common and extreme. There could be more harmful algal blooms in our lakes and coastal waters, increased electricity demand that could lead to outages, and potential increases in heat-related illness or spread of vector-borne diseases like Valley Fever and Pacific Coast tick fever. Infrastructure, including roads, train tracks, houses, and power plants are threatened by sea-level rise. Your contribution to the assessment draws in part from your work leading the recent Santa Barbara Area Coastal Ecosystem Vulnerability Assessment. That report focused on climate change impacts on ecosystems in the central coast region. How is climate change likely to affect central coast ecosystems? The report highlights projected changes to climate, shorelines, watershed runoff, beaches and wetlands. Dramatic changes to coastal ecosystems are on the horizon within the next 35 years. By 2050 we project a tipping point for both beaches and wetlands, when we could see severe loss of habitat area and species diversity, including local extinctions. Many central coast ecosystems are trapped between the ocean and coastal infrastructure (such as roads and buildings) making it difficult for them to adapt as sea levels rise. Why should we be concerned about ecosystems? Ecosystems provide important services to people. For example, beaches and wetlands protect people and their houses and infrastructure against storms and sea-level rise. Ecosystems also support animals, fisheries, that people depend on. But many people are concerned about taking care of our environment and ecosystems not just because of the direct ways we benefit economically. On the central coast, local ecosystems are part of the character of our community. People want to go to the beach, to see birds and wildlife. California’s identity, its culture, is tied to our ecosystems, in particular our beaches. I’m worried that we’re going to have very few beaches in the future, or that they’re going to look very different. Human beings will adapt, because we’ll have to. But we need to think about what we want our environment to look like in the future. If we don’t start to think about it now, we’re going to live in an area with a lot of armored coastline. Beaches are perhaps the most iconic of California’s ecosystems. What’s in store for central coast beaches? Our projections show that by 2100, we could lose two-thirds of our beaches including southern and central California up to Point Conception. What we will lose first is actually the upper beach, which is the most biodiverse. That may seem counterintuitive, but in fact we’ll always have the lower part of the beach, the wet beach. The problem is that as sea level rises, water moves up the beach and the upper part of the beach becomes the lower beach, the intertidal. If you have something right behind that beach, whether it’s a house, a road, or train tracks, the water will eventually lap right up against those structures, and the beach as we know it will be gone. What can we do to help preserve beaches? I hope that we’ll take the opportunity to think creatively. Beaches and wetlands will need to have space, an avenue for moving inland. That means enticing people to build farther away from the coast, creating a buffer zone of parks and natural areas that can serve dual functions as ecosystems and barriers protecting human development from flooding and storm surge. We’ll need to reduce beach grooming, allowing dunes to form and restoring them where possible. We need to restore wetlands, which can help buffer storms, and allow for them to move inland with the rising tideline.